Bertrand Russell once said: “The good life, as I conceive it, is a happy life. I do not mean that if you are good you will be happy; I mean that if you are happy you will be good”. A happy life. That is a wish I heard a lot for the new year. What define a happy life? 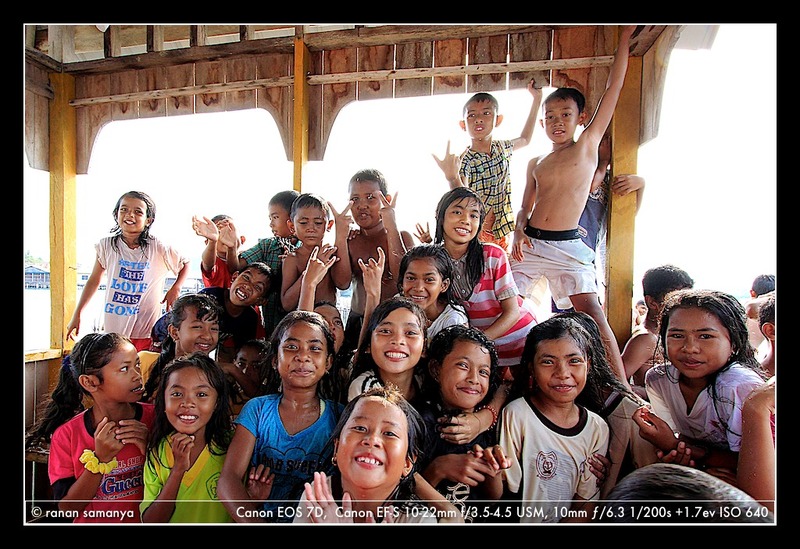 For the children of the remote Temiang island, it just means throwing themselves to the blue sea from their village’s jetty, over and over again, during high tide, after school. And perhaps once in a while watch dolphins pass by, in awe, as a bonus. I was fortunate to witnessed –and felt– the happy moment passed by on one sunny day (including watching a family of dolphins passed the small strait), though not fortunate enough to join them as I just have to keep on pressing my shutter release to capture their natural BIG smiles. And boy they loved the camera! Maybe they are loved and connected. They sure are kind. Wishing you a happy life out there.